Home Gadget Review Mobile Phones Tech News Yu Yureka Specifications and Tips to buy it From Amazon. Yu Yureka Specifications and Tips to buy it From Amazon. Next Sale will start at 2pm, 26th Feb. Buy Micromax YU YUREKA with CyanogenMod OS at Rs 8999 only from Amazon India store. 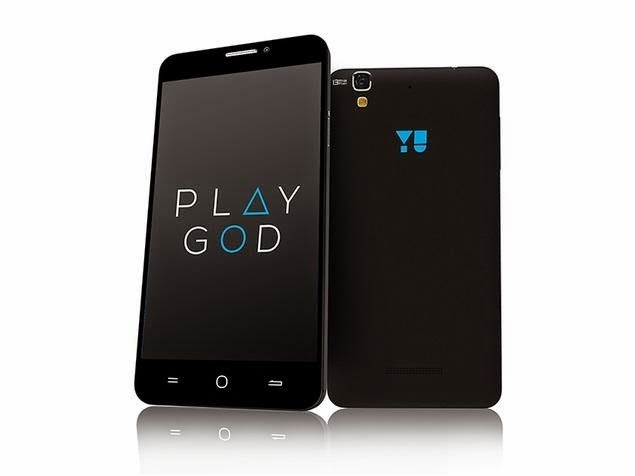 Micromax’s YU launched YUREKA (AO5510) which is company’s first YU branded smartphone. Find details procedure how to buy it below. Hot features: 5.5″ HD IPS display,CyanogenMod OS 11, Octa-Core 64-bit Qualcomm processor, 2GB RAM, 16GBinternal, 13MP/5MP Camera, Dual SIM,3G, 4G LTE etc. ~Click Here to register/buy forMicromax YU YUREKA with CyanogenMod OS. ~You need to register first to buyMicromax YU YUREKA smartphone. ~Registrations will start on 19th Feb at 5PM. ~Registrations ending on 5PM, 25th Feb 15. ~7th Flash Sale will start at 2PM, 26th February 2015. ~Follow instructions to complete your registration to buy Micromax YU Yureka with CyanogenMod OS. ~Click on “Subscribe to Register” and “Subscribe” button again. ~You’ll get a confirmation email. ~You’ll see “Unsubscribe“, if you already registered in sales earlier. ~Only user who register will able to buy this smartphone in India. It’ll be flash sale similar toLenovo A6000 or Redmi MI 4. You need to be fast to grab Yureka. How many handsets will be available for sale? Only 10,000 units! Yes according to a report only ten thousand YUREKA mobile phone will be available for next sale. 6th Sale was sold out in just 4 seconds & most of user got frustrated with this system. Earlier we got a lots of user complaints that it was a fake salebut this is not true. Due to high demand and lakhs of registration Amazon getting slow at the time of sale and this made other users to frustrated with sale system. Step 1: Open This Sale Page to buy it. Log into your Amazon.inaccount a few minutes prior to the sale at 2:00 PM on Thursday, Feb 26, 2015. Please save the payment instruments securely in your account for a quick checkout. Step 2: Add Yureka Smartphone to your cart when the Sale startsand checkout the product within 15 minutes. No further steps are required if order is successfully completed. Step 3: If all the Yureka Smartphones are already added to cart by other customers, you might be asked to join a Waitlist. We recommend you to join the Waitlist. If the original buyer fails to complete the order within 15 minutes, the smartphone willbecome available for purchase to the customer in Waitlist. Step 4: If you are in Waitlist, an alert will appear on your screen notifying when the smartphone becomes available with the ‘Add to Cart‘ button activated. Step 5: You will have 3 minutes to add the smartphone to your cart and 15 minutes to checkout in order to complete your purchase. Step 6: If the Waitlist is full as well, we recommend you torefresh the page every few minutes till end of the Sale to see if the Waitlist becomes available. Even after following this procedure we can’t assured that you’ll able to buy YUREKA smartphone, but still you will have max chance by following above. Please Note – If you are logged in from mobile, the Waitlist option will not be visible. Get best online price of Micromax YU YUREKA with CyanogenMod OS only at Amazon India withsteps given above. The Micromax YU YUREKA with CyanogenMod OS smartphone is a new low budget Octa core smartphone. It has unlockable boot loader andremain in warranty even if thephone is rooted. It will alsorelease kernel source code. 5.5-inch HD IPS display withCorning Gorilla Glass protection,1280 x 720 pixels resolution, 267 ppi. 16GB internal memory, expandable memory up to 32GB with microSD. CyanogenMod OS 11 based on Android 4.4 (KitKat) with OTA updates every month. And it has already got first update this month. 13MP rear camera with LED Flash, 5P lenses, Sony Exmor RS IMX135 sensor, f/2.2 aperture, 1080p at 30fps, 720p slow motion at 60fps. 5MP front-facing camera, OmniVision 5648 sensor, 4P lenses, 71-degree wide viewing angle. 2500mAh battery, 8 hrs talk time, 210 hours standby time. Micromax YU YUREKA with CyanogenMod OS available inMoonstone Grey color. Micromax will sell leather coverand tempered glass separately later. 1 Year manufacturer Warrantywith free repair or replacement at doorstep. You can read more about features & specs at offer page. Product images/photos, user reviews about it, ratings,comparison, similar products etc available at above offer page.